Will I be seeing you at Style XL? - Sugar, Darling? Will I be seeing you at Style XL? There's nothing I like more than the chance to hang out with my fellow blogger babes, so I'm super excited that my lovely friend Leah has organised Style XL, the first Midlands based plus size fashion event! 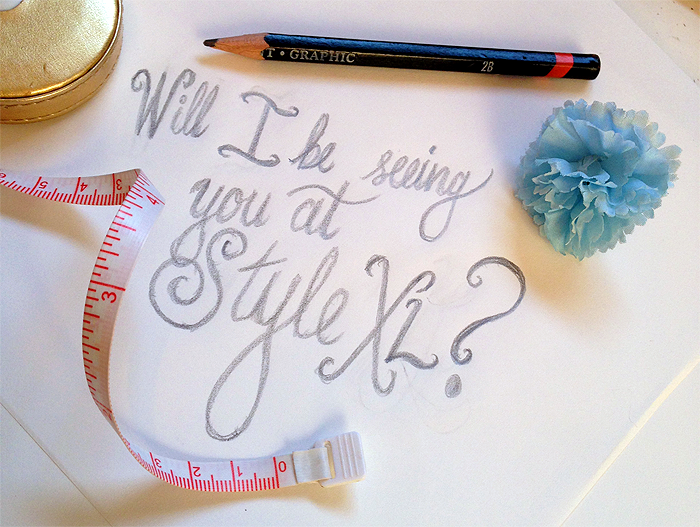 Style XL is over two days this year on the 18th and 19th of July (only a few weeks away yay!) at The Paragon Hotel in Birmingham which is in the centre of the city. My beautiful friend Lill and I will be training it down to 'Brum' and then strolling across town to the hotel but there's parking at the hotel if you would rather drive. On the Saturday from 12-5pm there will be catwalk shows and stalls featuring lots of great brands like Simply Be, Yours Clothing, Scarlett & Jo, Curvy Kate and lots more! In the evening from 7pm until late it's the Model XL final as well as some more VIP catwalk shows (and no doubt a lot more fun!). The Sunday is a more relaxed affair with an array of workshops for you attend on lots of subjects such as body confidence, blogging and more! Now then, the important thing is that if you want to buy tickets you best get a wiggle on because they are selling out FAST! If you want to snag some then click here on the double! If you spot me please do come and say hi, I always love making new friends!